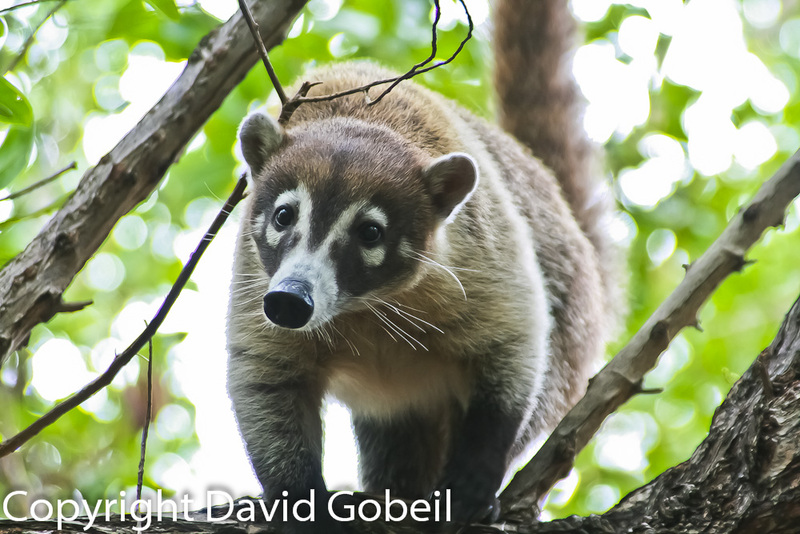 While visiting a caye just offshore from Dangriga Town I met a semi-wild Coatimundi (also locally known as a “Quash” or raccoon). The animal had been rescued by the owners of the caye, and was still rather wild, but also curious. After the Quash was rehabilitated the owners of the caye released it back into the rainforest on the Hummingbird Highway.